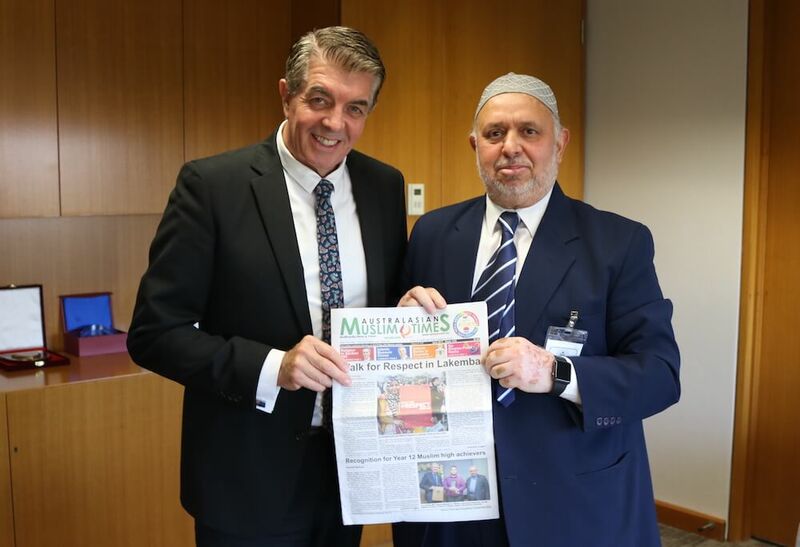 Caption: Minister Ray Williams with Zia Ahmad, Managing Editor of AMUST. 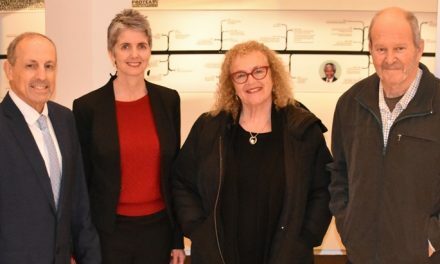 The Hon Ray Williams MP, Minister for Multiculturalism and Minister for Disability Services in the State of NSW granted a 45 minutes’ audience with AMUST Team at his offices at the Parliament of New South Wales on Monday 24 April 2017. 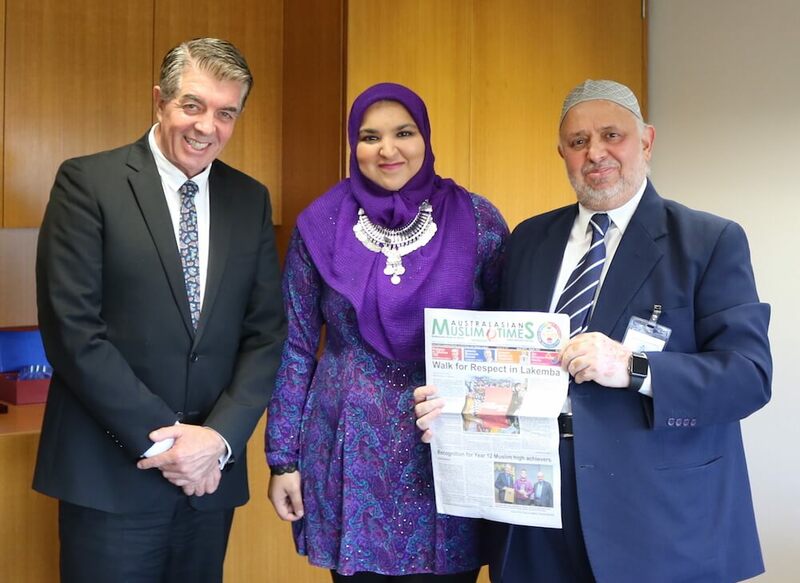 The meeting was attended by the Minister; Ms Hayley Ashburner, Media Adviser; Mr Rommel Varghese, Adviser, Multiculturalism, Youth and Volunteering; Mr Zia Ahmad, Managing Editor, AMUST and Ms Mobinah Ahmad, Multimedia Journalist, AMUST. You’ve been in this portfolio for almost three months, how do you feel about it? It’s a great portfolio. It’s given me the opportunity to look at the world in a very short space of time through all the cultural festivals. Every week there is a major cultural festival across Sydney Metropolitan area and New South Wales. Literally, hundreds of thousands of people attend these festivals and the wonderful thing about it is that they’re being embraced more broadly by the community. The community sees a festival regardless of what it is, and they want to be there. It’s colourful, its bright, there’s dancing and in particular, there is food and nothing encourages Australians more than a good feast. They’re flocking to their great cultural festival, and that in itself is creating great social cohesion and harmony. I’m very proud to represent this portfolio. Minister Ray Williams in discussion regarding community issues. What sort of commitment do you have in terms of Multiculturalism in this climate and trend towards populism which we are seeing in Europe and maybe to some extent in Australia as well and that some people are against Multiculturalism? My message from day one has been our culture, our great Australian culture and this country is the sum total of every nationality around the world. We’ve each come together and built a country that is the envy of the world. It is unique in its nature and is richer from its diversity. It is unique in the fact that we are living peacefully and respectfully as one, I think that’s very important. I’m not that naïve, that I don’t see that there are always challenges, and there have always have been in this country. We’ve never backed away from that, we’ve never hidden away from those challenges, we’ve met them head on, we’ve discussed those things rationally and reasonably and we’ve moved forward and we’ll continue to do that, and continue to build a better country. I wish the world would focus more closely, whilst they envy us, I just wish they would take on board what we’ve built through respect, peace and freedom. The interesting thing about it is it has largely come about through respect and freedom, we don’t place any restrictions on people, it is a free country. We respect the people that come here, we respect their cultures, their religions and then we just move forward together as one. How can the government facilitate interfaith and intercultural dialogue in order to promote harmony in our society? 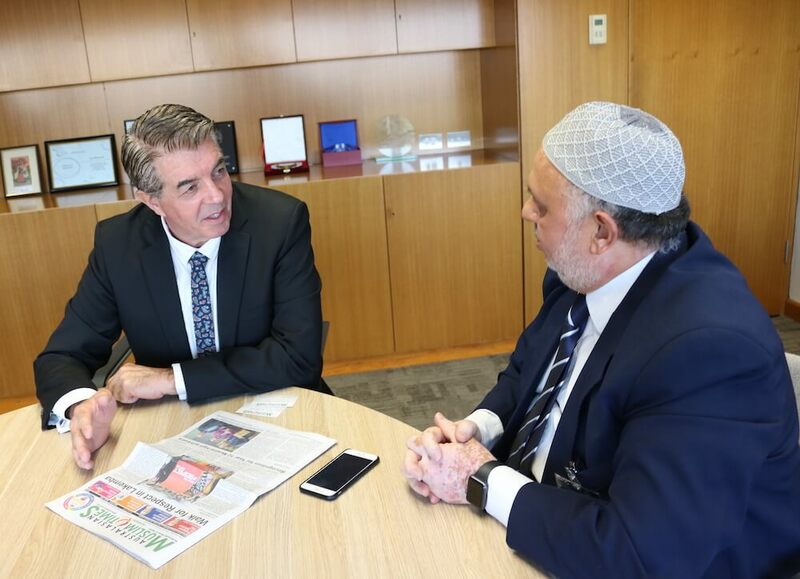 Through my office in Parramatta, through Multicultural NSW, we have a religious leaders group which meets regularly. I think there’s probably 30-40 participants in that group. 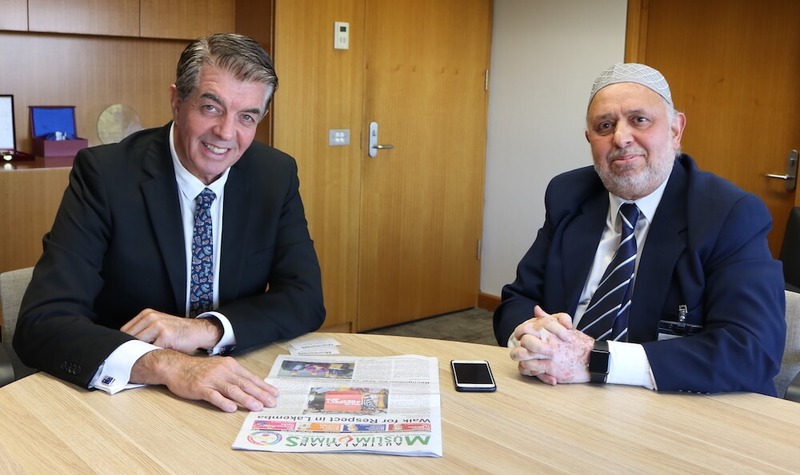 We also have the Muslim Leaders group, the Advisory Reference group, so we very highly acknowledge the importance of discussing faith openly and respectfully across the table. I think it’s wonderful, I think it’s great to see those people in the room together, discussing how they can each contribute to a better society, and I think that’s very important. 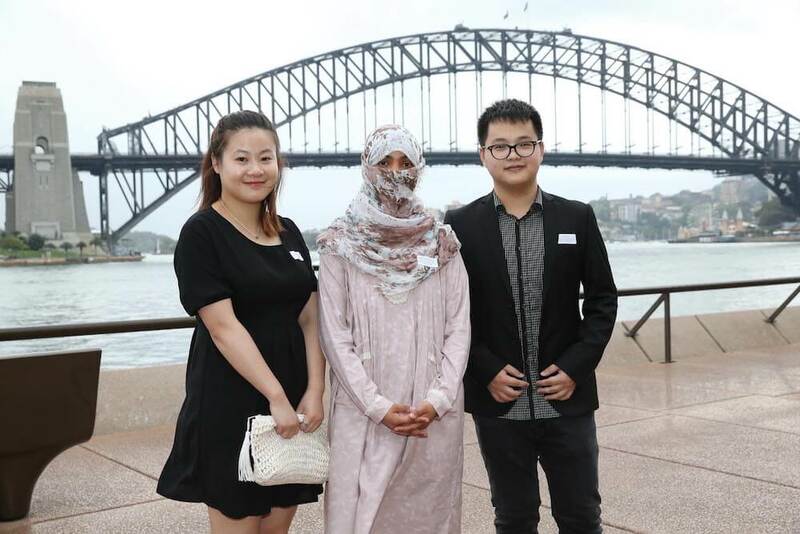 We appreciate the fact that there are 245 different nationalities in New South Wales practicing 125 different religions. I think that in itself is extraordinary. The fact that we recognise 125 religions, it highlights that we just leave people to practice their faith, and we should never judge people by their faith. I think it’s important that those leaders can come together and if there are issues that are common amongst us that we can address them and resolve them peacefully and respectfully through those meetings. There has been some controversy recently relating to “Australian Values”. Your comments? Ultimately when I look at values, at the end of the day, what we value more in Australia is distinguishing right from wrong and our values are very much enshrined in law and you just won’t get an argument, regardless of who the leaders of the diverse communities that I speak to. We value people who come to this country, who work hard, who make a positive contribution to society. And if you step outside our laws, you will be punished and nobody has a disagreement with that. There is just such a small portion of people who step outside the law, and they are punished and they should be punished. And that’s the end of the story, people abide by our laws, they’re very much living within the values that we hold close to our heart in Australia. 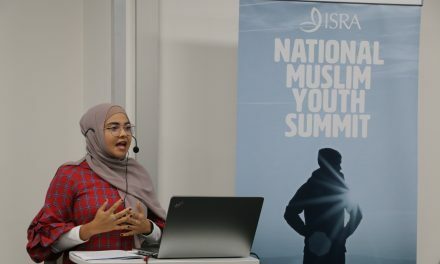 There is a concern that Islamophobia and hate speech with vilification of Islam and demonisation of Muslims is causing disharmony in society that is especially damaging to young people on school yards. Your views? Nobody, regardless of who they are should ever be judged by the faith that they hold so dear. It’s just not acceptable, not acceptable across this country, it shouldn’t be acceptable anywhere. When you recognise that the young people, especially children can be affected in an adverse way when they hear those particular comments. It’s one of the most important things that we can instil in children, especially children from migrant parents, that they should love this country and make a positive contribution to this country, but they should never forget where they’ve come from, never forget their background, their culture, their heritage and their religion. They should hold that dear. Some young people get torn between feeling they’re not from where they come from and they’re not of this country, and that’s very very hard to accept in a young person’s mind. They should know quite rightly that they can be both, that they can be very much apart, that we value the people who come here and make a positive contribution, not only valued by me, they’re valued by the government, as they should be. Children should know, and all people should know, they should recognise that they can be both, they can be Australian and never forget what their background is, which is important, that is part of them. 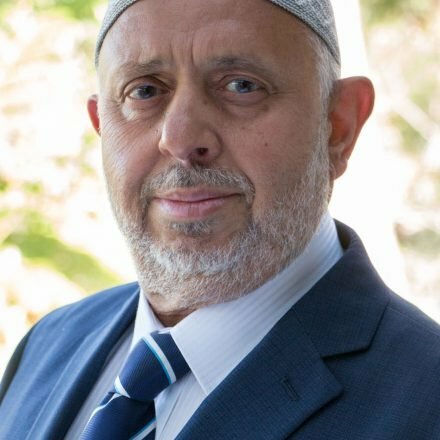 Do you have some advice for the Australasian Muslim Times AMUST? Keep doing what you’re doing. AMUST is full of information, full of cultural aspects as it should be. It provides important advice on behalf of your community. Additionally, you are publishing media articles that can be read more broadly, that can be read by the broader community, and that’s important as we go forward. We are one, we are one country, we’re one Australian culture, it’s the sum total of every nationality around the world and we should embrace that. It’s a good message for people. You’re building this country. We have a long way to go. You’re making a positive contribution to this country, there’s a great legacy here for you to be recognised, and that legacy is reflected in your newspaper. Negative stories, unfortunately, might sell press, but positive stories build strong communities, and that’s good. The success of people, not necessarily the great high achievers, but it’s the everyday mums and dads making a positive contribution to the society, they’re the greatest role models on behalf of their children. Minister, thank you so much. In my capacity as the Trustee of Australian MEFF Consortium, organisers of the Multicultural Eid Festival & Fair, I extended an invitation to you to be the Chief Guest at next MEFF on Sunday 9 July 2017 at Fairfield Showground. It will be my pleasure to attend.